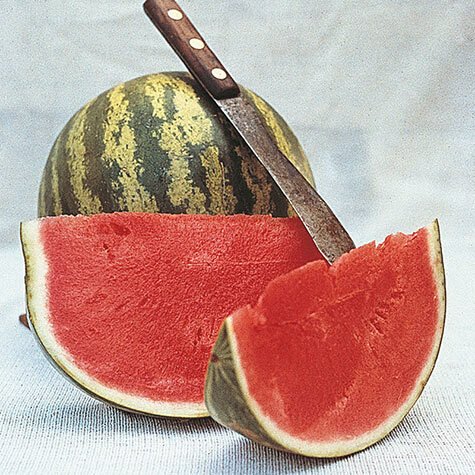 Crimson Sweet Watermelon | Gurney's Seed & Nursery Co.
Germination: 5 - 8 days. Comments: Disease resistant - fusarium wilt and anthracnose. High sugar content. Contains a few small seeds. Good keeper. Variety is at least 35 years old.